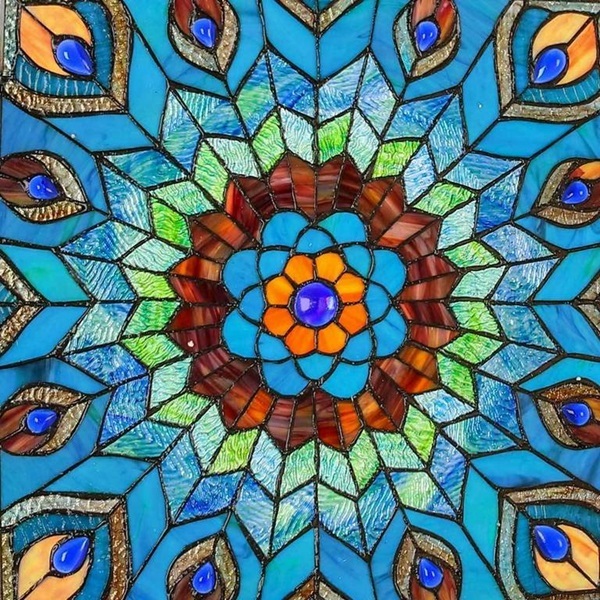 This geometric, peacock inspired Tiffany Style Stained glass window panel is sure to capture eyes in any space! 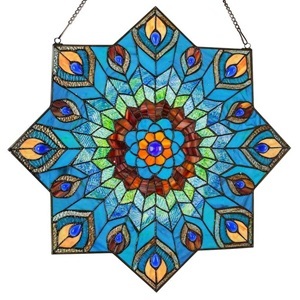 The center of the panel features a petal-like design sprouting from a bold blue cabochon. 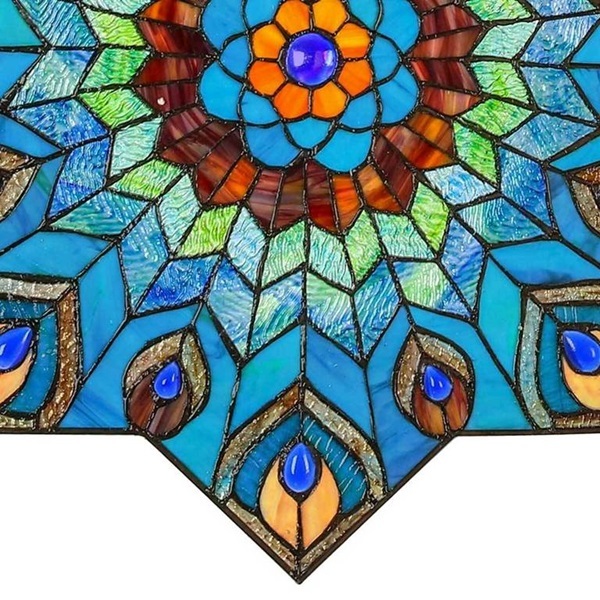 As you make your way to the edges of the panel, you run through rich red striated glass, blueish-green ripple glass into a pattern with a mix of striated and ripple glass in the design of a peacock feather made from over 200 glass cuts. 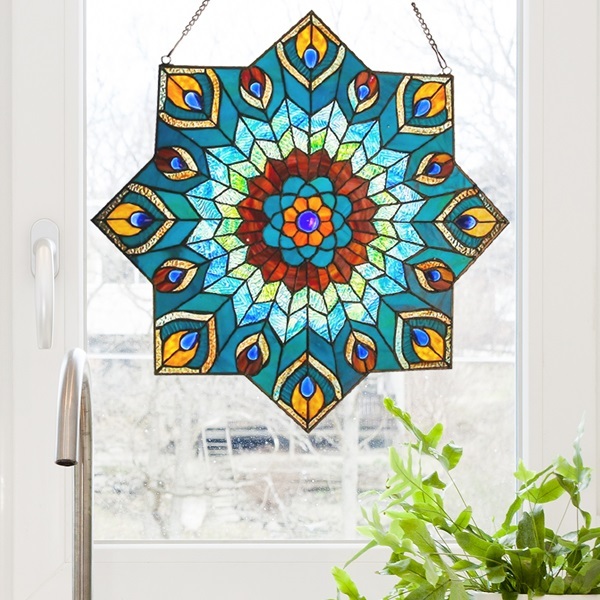 Let the light shine through this piece and bring joy and color to your day.